The members of the Recommendation Board support the Professional PhD Program (PPP) by publicly endorsing the project. The composition of the committee is a testament to the support for the PPP within the broad academic community. The members strongly believe that the project can contribute to the career development of PhD candidates, emphasize the value of a PhD outside of academia, and strengthen the existing relations between science, business, and government. For more information on the PPP see this infosheet or mail via info@hetpnn.nl! For whom is the PPP intended? The PPP is for PhD candidates at a Dutch university, research institute, or university medical centre who want to gain work experience during their PhD program. The vacancies are mainly aimed at employee PhD candidates, but external PhDs may also be eligible and are encouraged to apply. The PPP is open to PhD candidates with a Dutch or foreign nationality. Depending on the vacancy, a knowledge of Dutch and/or English may be required as well as specific skills for the vacancy. The candidate must be able to finish the PPP during their PhD program. (2) How is the contract arranged? The contract is signed between the PhD candidate and the company. PNN solely facilitates vacancies at companies, forwards job applicants, and carries out an evaluation of the placement. The PhD candidate must ask permission from their supervisor(s) to participate in the PPP and to adapt their PhD employment contract. PNN can help if the candidate wishes to convince their supervisor of the benefits of the PPP. Vacancies within the PPP are for 0.2-1.0 FTE for 3-6 months. This means that the PhD candidate must adjust their contract at the university, possibly take unpaid leave, and extend their PhD contract deadline. In some cases, permission to extend the PhD deadline may be required from the relevant research funding body. (3) Do I get paid for my work? The company pays the PhD candidate during the PPP according to the PhD salary of the relevant CAO NU/UMC/OI. This means that the monthly salary of the PhD candidate should, in principle, remain the same during the PPP. However, this can vary depending on how the contract with the university is arranged. (4) What is expected of me? The vacancies within the PPP are usually project-oriented and can be carried out within the time period of the PPP. The PhD candidate and the company supervisor(s) put together a project plan which clearly stipulates the tasks required of the PhD candidate. The PhD candidate receives supervision and feedback from the company supervisor(s) and is treated as an ordinary employee of the company. (5) Which vacancies are on offer? There are vacancies continually on offer from our participating organizations. In the past there have been vacancies at, among others, the Ministry of Economic Affairs, Agriculture, and Innovation, the Ministry of Education, Culture, and Science, NWO, the Council for Social Development, Rabobank, and the University of Amsterdam. PNN tries to create vacancies for PhD candidates in all scientific disciplines and hopes in the future to expand the number of vacancies within the PPP. All current vacancies can be found on the vacancy website of the PPP and are advertised via AcademicTransfer. (6) Can I contact a company myself? PhD candidates are welcome to take the initiative to approach companies and ask if they are interested in (a position similar to) the PPP. In that case, the PhD candidate may send this brochure to the company. PNN is further willing to give more information about the PPP and advice to both the PhD candidate and the company. (7) Is the PPP legally allowed? According to the Work and Security Act, the maximum period of two years for an employment contract in the CAO may be extended if the contract is for the purpose of educating the employee and if the extension is necessary for completing that education (see Article 7.668a of the Civil Code). The contract of a PhD candidate is explicitly defined as educational in the CAO. The employment contract of a PhD candidate can be extended for the completion of the PhD as the extension does not lead to permanent employment but only to the completion of the PhD (see section 2.3 article 8 and 10 of the CAO). An employer could refuse an extension but serious company concerns would have to be given in that case. (8) What is the procedure for the PPP? The procedure involves six steps: (a) a company has a vacancy for the PPP and the vacancy is advertised by PNN (b) applicants send a motivation letter and CV to PNN and the candidates who meet the criteria are forwarded to the company (c) suitable candidates are invited for an interview and the company selects a candidate (d) a contract is signed between the candidate and the company and the project is carried out (e) PNN contacts the candidate during the PPP (f) PNN carries out a final evaluation of the PPP. For more information on the PPP see this infosheet or mail us via info@hetpnn.nl! 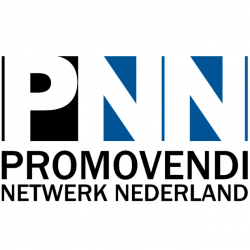 The Professional PhD Program (PPP) is an initiative from the PhD Candidates Network of the Netherlands (PNN) to improve the transition of PhDs in the Netherlands to a career outside of academia. Although most PhD programs focus on an academic career, approximately 70% of PhDs work outside of academia, for example in the public sector or in business. By participating in the PPP, successful PhD candidates are given a chance to work at an organization outside of the university for several months on a practical project required by the company. The PPP was originally started with a subsidy from the Social Fund for the Knowledge Sector (SoFoKleS). The duration of the PPP is between 3 and 6 months. The project can be carried out part-time (from 0.2 FTE) or full-time (1.0 FTE with unpaid leave). The company pays only the salary part of the costs of the PhD candidate (thus no WW responsibility) according to the conditions of the CAO NU/UMC/OI. PNN is not involved in the contract between the PhD candidate and the company, but only facilitates the vacancies and contacts, and is thus not legally responsible. The two parties establish a plan stating the tasks and timeline involved in the project. After completing the project, the PhD candidate returns to the university to complete their dissertation. PNN hopes with the PPP to show how valuable PhD candidates can be outside of academia and to strengthen cooperation between universities and business. During the PPP, organizations learn the added value of a PhD for their organization. They get to employ talented individuals who are known for their analytical skills, specialized knowledge, and willingness to work hard at a relatively low cost. PhD candidates, on the other hand, learn to consciously apply the transferable skills gained during their PhD program, such as good project management and professional presentation, and get the opportunity to contribute to an actual company project. The PhD candidates come in contact with various organizations outside of science and get a clear picture of career opportunities after their PhD.